Even Ulysses S. Grant will be there. GALENA–The Kiwanis Club of Galena is preparing to exceed expectations for this July 4 in Galena. There will be a parade, food, music and fireworks and no cover charge. New to the event will be the Colt Cadets, the novice group of the nationally recognized Dubuque Colts drum and bugle corps. The group will participate in the parade, marching Galena’s Main Street, and give a 20-minute stand-still performance in front of the post office following the parade. The Galena Community Band, a group of “older” school band members who perform just for the joy of it will also be in the parade and give a short concert after the parade in front of the post office. The headline band will be Dr. Mark and Sutures, a band from the Chicago area consisting of medical personnel, headed up by Dr. Mark Hill, who has owned a home on Galena’s Bench Street for years. Dr. Mark and the Sutures plays mostly music from the Beatles’ era. The Galena Bicycling group, the G.O.A.T.S, (Go Out And Tour Somewhere) will be serving hamburgers, brats and Happy Joe’s pizza. There will also be beer and pop for sale. Thanks to Culvers, Kiwanis members will be selling frozen custard. The parade will begin at 6 p.m., one-half hour later than in the past. The theme for this year’s parade will be “Honoring our Heroes.” Line-up in the area of Galena’s post office will begin at 5 p.m. Gather your friends and decorate your car or truck to enter into the parade. 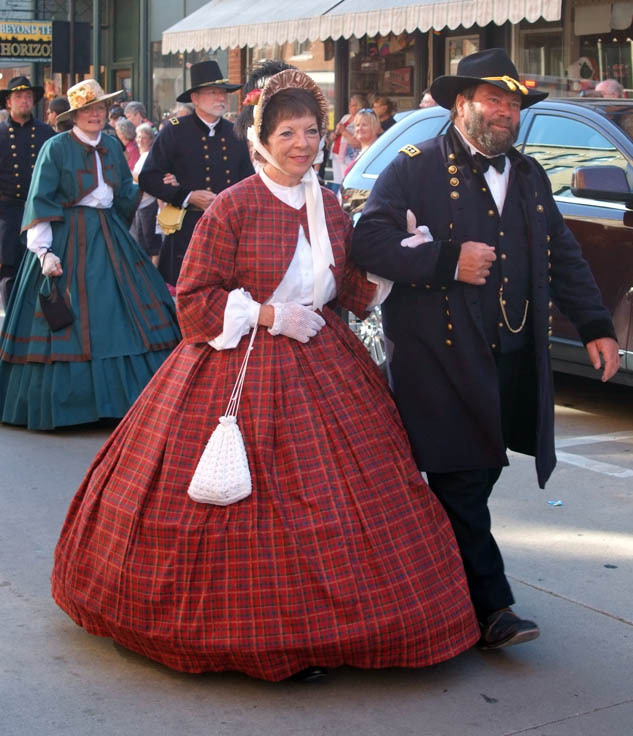 To enter the parade, call 815-777-0019 or email snewton@galgazette.com. Organizers are encouraging businesses to enter the parade and will be awarding a prize for the best business entry along with the traditional “Best Representation of the Parade Theme,” and “Most Creative.” Awards of $50 are given to each winner in a class. A fireworks display will begin at dusk (around 9:15 p.m.). All are invited to bring lawn chairs and blankets to sit on the Galena River levee to watch the show. With the generous support of the community, the Galena Kiwanis Club has been sponsoring July 4th celebrations for nearly 20 years. To assist in this family-oriented event, send donations to Kiwanis treasurer Ty Cocagne, 12A279 Lincoln Ct, Apple River, IL 61001.